"Bring your Magic skills online and challenge people from around the globe." 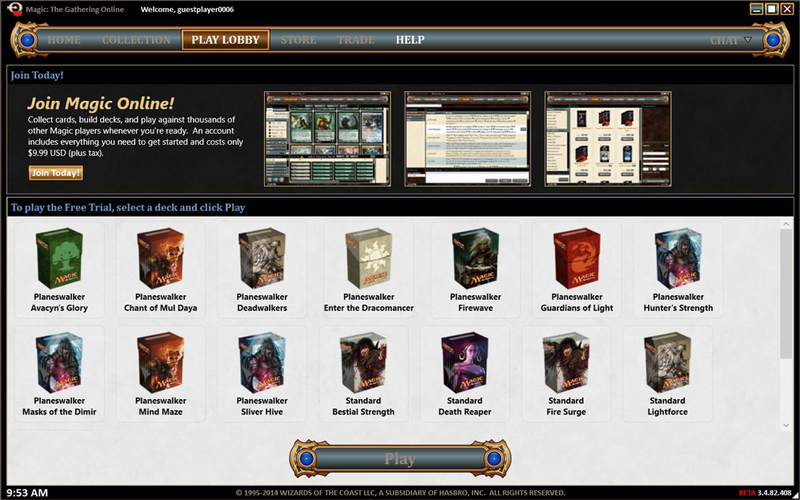 The world’s most popular card trading game, Magic: The Gathering is now available as an online game too. Now all you need is a computer with an internet connection and you can challenge players from all around the world. Collect cards, build decks, show off, and more at any time online. 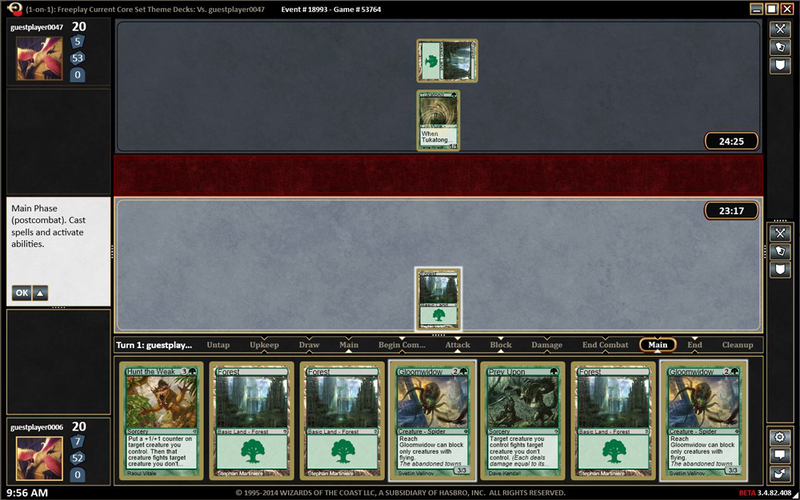 If you are new to Magic: The Gathering, it is highly recommended that you start off playing on the console version of the game against the computer. Once you have gotten a general feel for the nature of the game, start playing some face to face matches, collect cards, trade cards, and join in on all of the fun that your friends have been raving about. Once you’ve mastered face to face combat and none of your friends want to get beat anymore, bring your skills online and play against players that have been beating their friends in their games too. Get access to the largest game room when you download Magic Online today. Play with real players from around the world, there’s no computer players here. Game rooms are up and running 24/7 so you can play online at any time of the day or night. And there will always be players available to play. 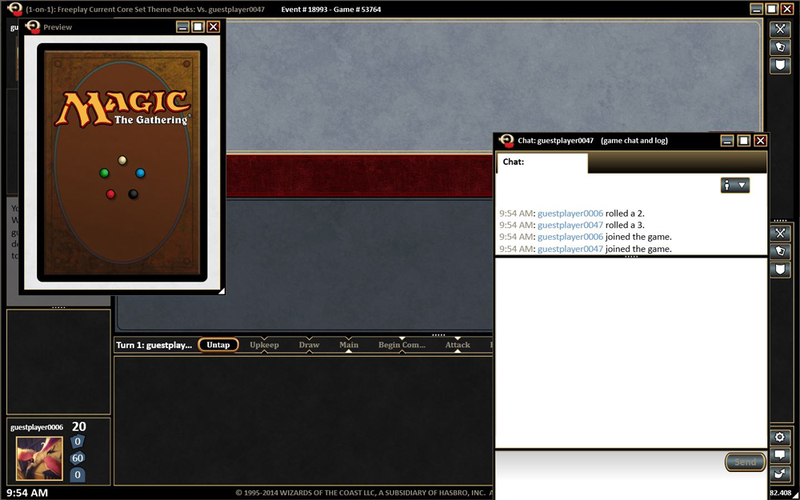 Collecting, trading, and building your Magic deck has never been easier than it is with Magic Online. The built in trading system allows for a safe, convenient, and easier way to trade your cards and increase your deck. Trading with other players allows you to increase your quantities and collect complete sets. The online trading system also allows you to purchase boosters for your next draft. Magic: The Gathering Online has a built in chat system that allows you to further connect with your opponents and other players from around the world. Use the chat to learn more about players, make a new friend, or smack talk them until they give in. Most importantly, Magic: The Gathering is all about winning and winning big! You can compete in live events that offer great rewards to the winner(s). Booster drafts, sealed decks, and constructed tournaments are always available for you to join and compete. You never know, you may just take it all! Don’t let the competition push you away, there’s something for everyone. Whether you are a novice player or a champion in the making, you will find options that allow you to customize your competition.